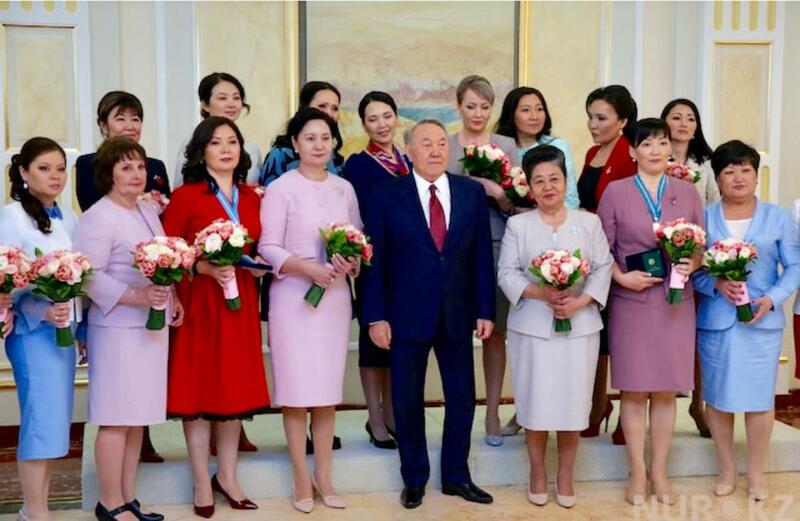 On the eve of the celebration of international women's day, the Head of state Nursultan Abishevich Nazarbayev organized a meeting with representatives of the women's community "Koktem shuagy". During the event, the President congratulated the women present and all the female half of the country's population on the upcoming March 8 International Day and stressed the importance of implementing new large-scale social measures to support mothers with many children, noting that the amount of this assistance will be consistently increased. The silver medal winner, mother of six children, candidate of philological sciences, qualified specialist, Deputy Head of the Department of General Linguistics and European languages ​​of the faculty of philology and world languages ​​of our university Mambetova Manshuk Kudaibergenovna attended the meeting. The Head of State noted the special role of women in educating the future generation of Kazakhstanis. It can be noted that President Nursultan Abishevich pays special attention to the fact that women play an important role in the education of future generations.